More details about the unannounced Samsung Galaxy S7 and the Galaxy S7 Edge have once again surfaced on the Web. The latest report gives details on the two smartphones’ battery, display, camera and storage. The Samsung Galaxy S7 and the Galaxy S7 Edge will be water-resistant, reported tipster Evan Blass aka @evleaks on Venture Beat. It has also been mentioned that the handsets will be IP67-certified, which will also make them dust-proof. The Galaxy S6 and Galaxy S6 Edge did not feature water-resistance, a feature that was popular on the Galaxy S5. In addition, the Galaxy S7 smartphones will be backed by larger batteries as compared to their predecessors. 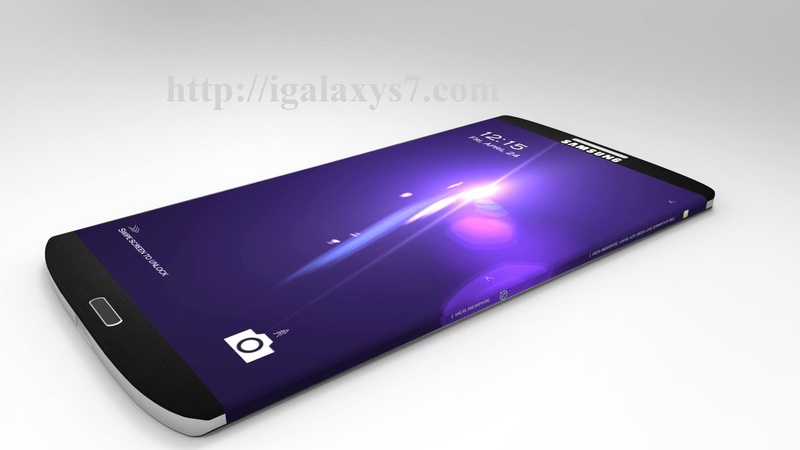 While the Galaxy S7 is said to sport a 3000mAh battery, the Galaxy S7 Edge is rumoured to house a 3600mAh battery. For reference, the Samsung Galaxy S6 and the Galaxy S6 Edge came with 2550mAh and 2600mAh battery capacity. However, the batteries in the upcoming smartphones will not be user-replaceable. The wireless charging time for the Galaxy S7 was said to be 2 hours, while for Galaxy S7 Edge it was 2.2 hours. As for the storage, Samsung is planning to bring back microSD card support in its Galaxy S7 and Galaxy S7 Edge, a feature that was sorely missed on the Galaxy S6 and Galaxy S6 Edge. The smartphones will reportedly be able to support microSD cards up to 200GB. In terms of display, the report adds that the Galaxy S7 will sport the same display as seen in theGalaxy S6 and Galaxy S6 Edge – 5.1-inch QHD resolution Amoled display. The Galaxy S7 Edge however, will bear a 5.5-inch QHD Amoled display. Both will include ‘Always On Display’ or AOD feature, which bring a glanceable screen with information and will consume as low as one percent battery in an hour. As tipped in previous leaks, the Samsung is said to bring handsets running on it home-brewed Exynos 8 Octa 8890 processor (with LTE Cat 9. modem) in select markets while others would receive the Qualcomm Snapdragon 820 variant. All the models however, will feature 4GB RAM. It will be available in 32GB and 64GB storage versions. The 128GB version might be present in select countries. The report adds the handsets to feature a 12-megapixel rear camera, while is a dip from the 16-megapixel rear camera found in the Galaxy S6. The camera will be coupled with f/1.7 aperture lens, which will be able to capture more light in dark. The Galaxy S6 included f/1.9 aperture. As for the design, the rear camera is expected to be flushed with the rear panel of the smartphone, eliminating the awkward hump. The front-facing megapixel is supposed to stay the same. In a separate report, more specifications of the Samsung Galaxy S7 Edge+ that recently were seen in aleaked image by a Redditor, have popped up on the Web. As spotted by GadgetzArena (via GSMArena), the handset in question is seen running Adreno 530 GPU in the leaked image. This indicates the processor inside the smartphone is not the Samsung-made Exynos 8 Octa 8890 but the Qualcomm Snapdragon 820. Other specs listed are 4GB RAM, 12.2-megapixel rear camera with Samsung Britecell technology and 1/2″ sensor size for better low-light photography. However, nothing can be confirmed about the smartphone until Samsung launches it.